More evidence that Chinese lots can leave auctioneers sitting pretty came in sales north and south. A c.1900 padoukwood throne chair topped the September 6 sale at Hartleys (18% buyer’s premium) of Ilkley, while a pair of ceramic garden seats was a star attraction at George Kidner (19% buyer’s premium) at Lymington on September 7. 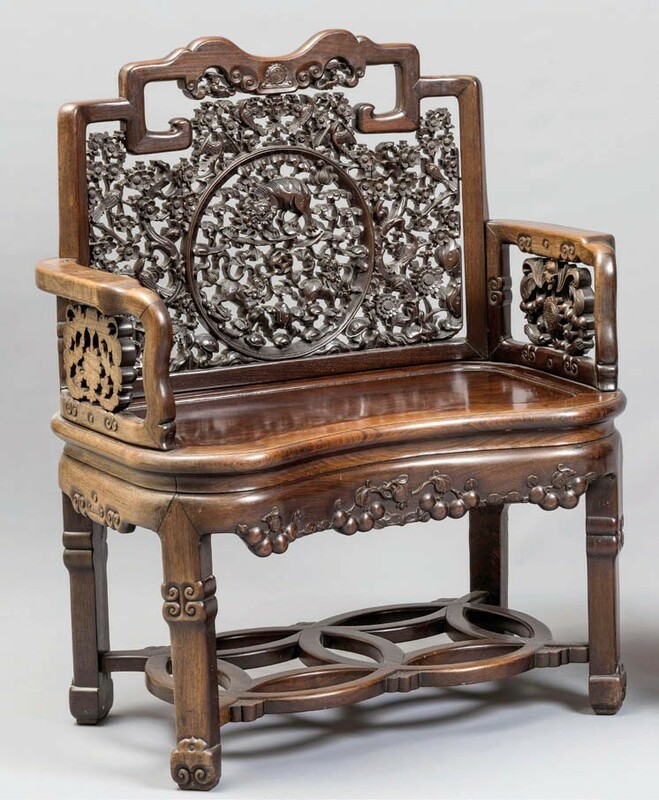 The 3ft 2in (98cm) wide throne chair above, pierced and carved with prunus blossom and with a roundel with kylin to the back, came from a local house clearance and was pitched at £400-600. It sold to an online bidder from Singapore at £9500. 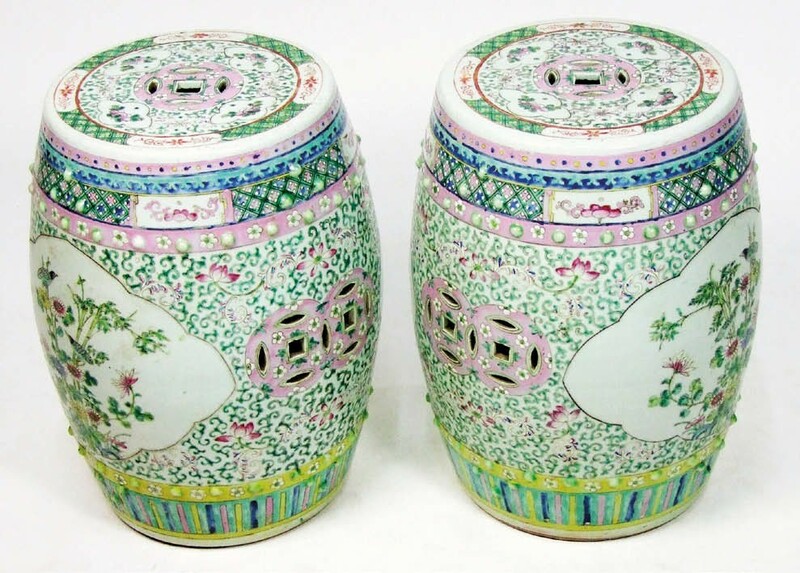 The ceramic, famille rose garden seats also pictured were undated in Kidner’s catalogue, but against an estimate of £200-400 they sold to a UK bidder at £2400.